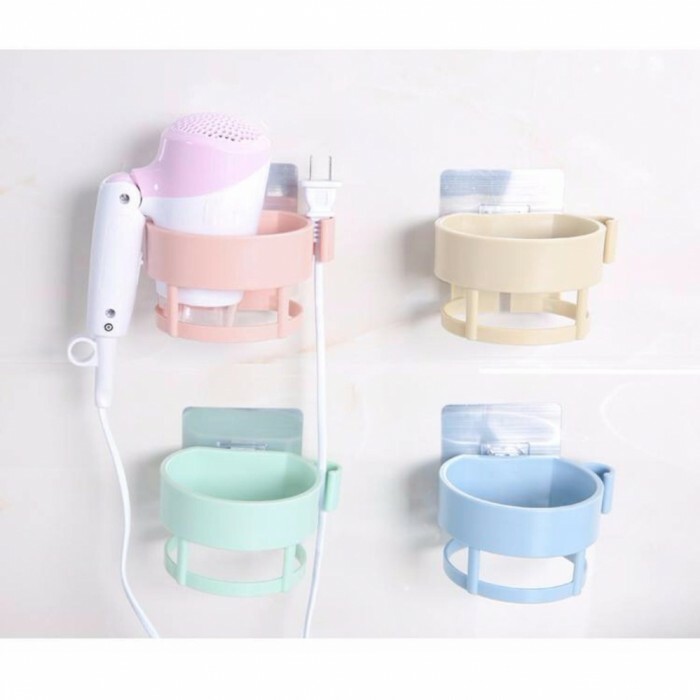 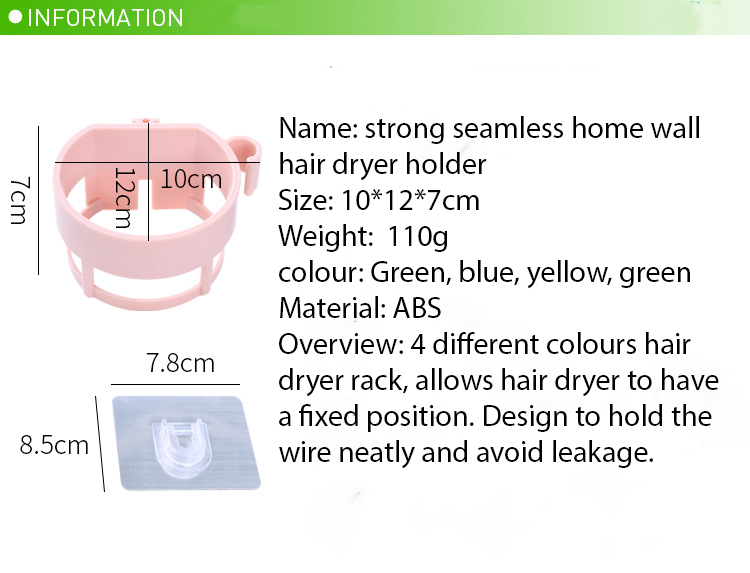 Using high quality ABS material which help the hair dryer holder last longer. 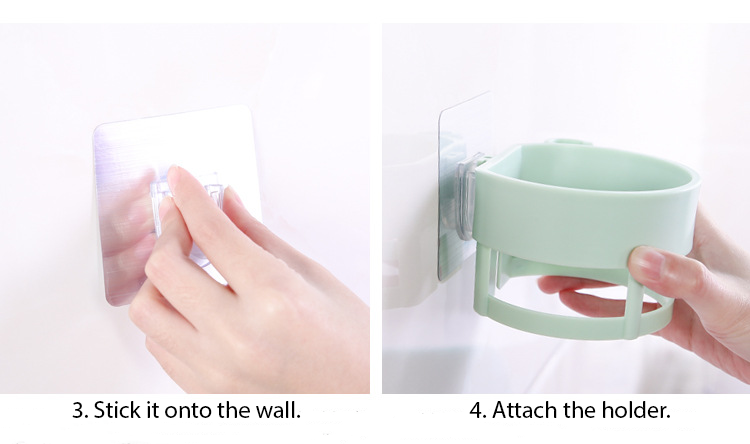 Provide seamless sticker that help to only stick the holder onto the wall without drilling on the wall. 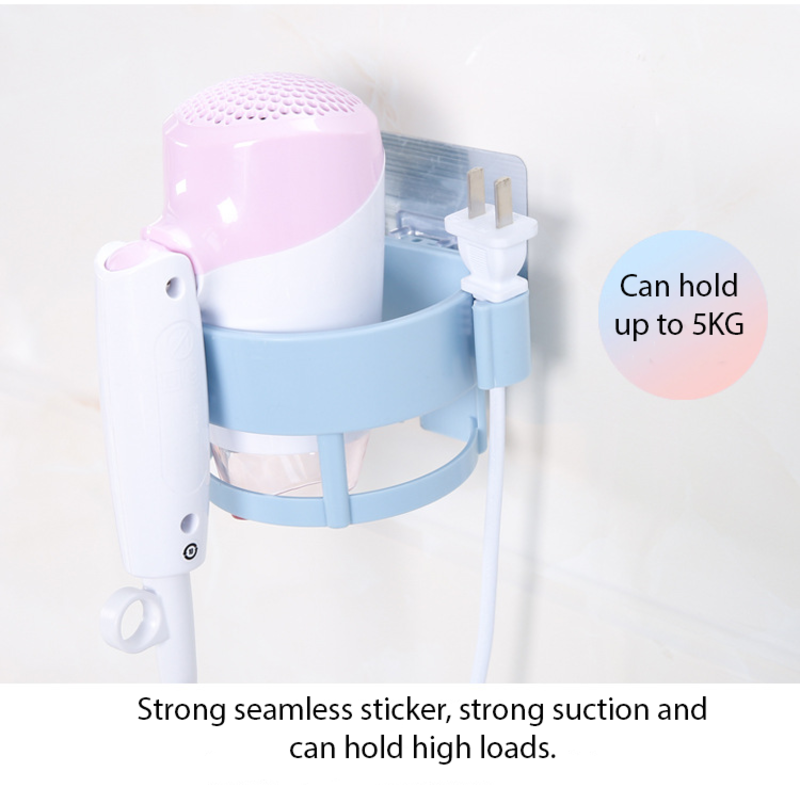 Available plug holder to hang the plug. 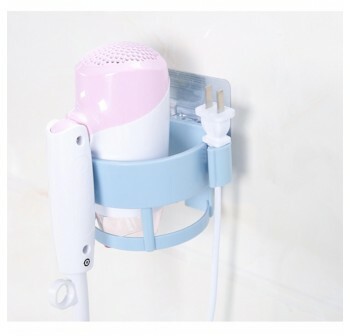 Mounted directly on the wall, the Hairdryer Holder, reflects a fresh look on a bold scale. 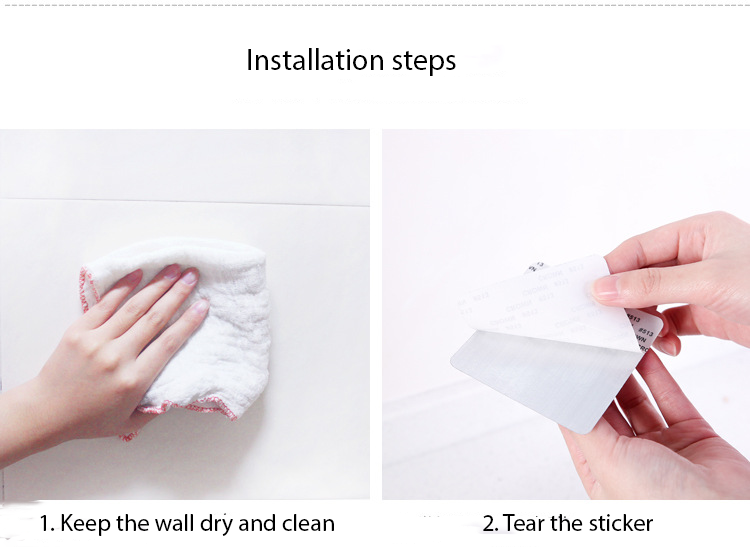 Its clean style helps enhance the placid setting of the bathroom. 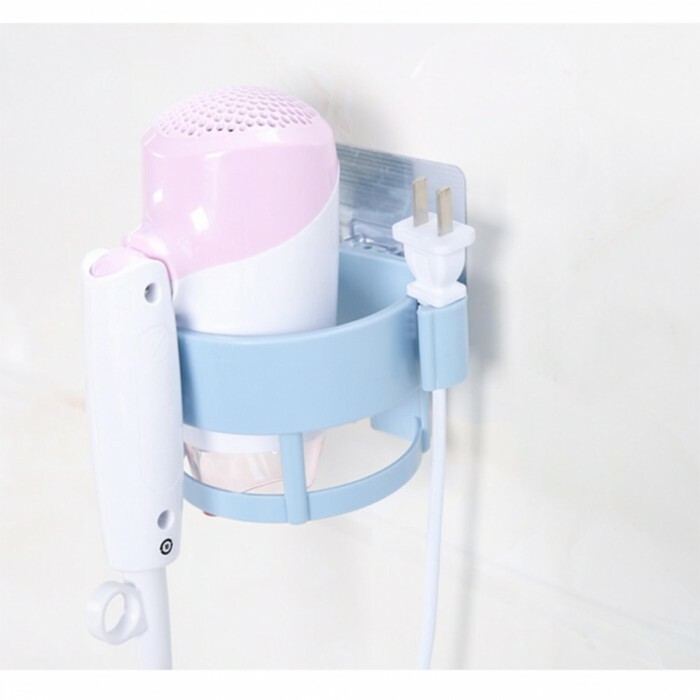 Fitting most standard size hairdryers, this holder is the perfect organizational solution to any washroom. 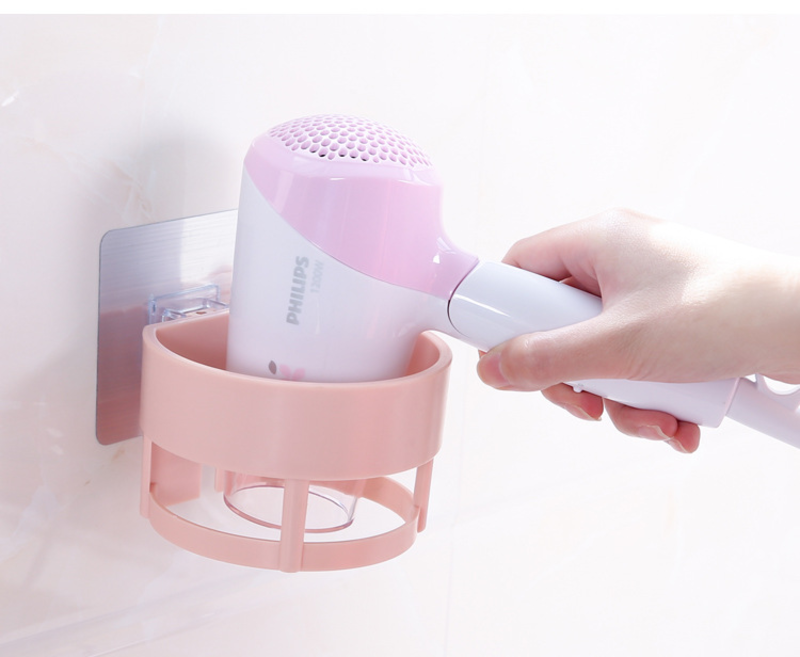 The Hairdryer Holder keeps your most important grooming tool handy in a stylish wall fixture, ready and waiting for you every morning! 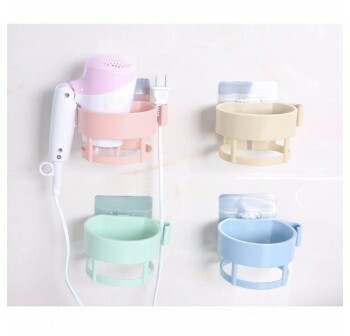 Easy to install, a good hairdryer holder for household use or hotel use. 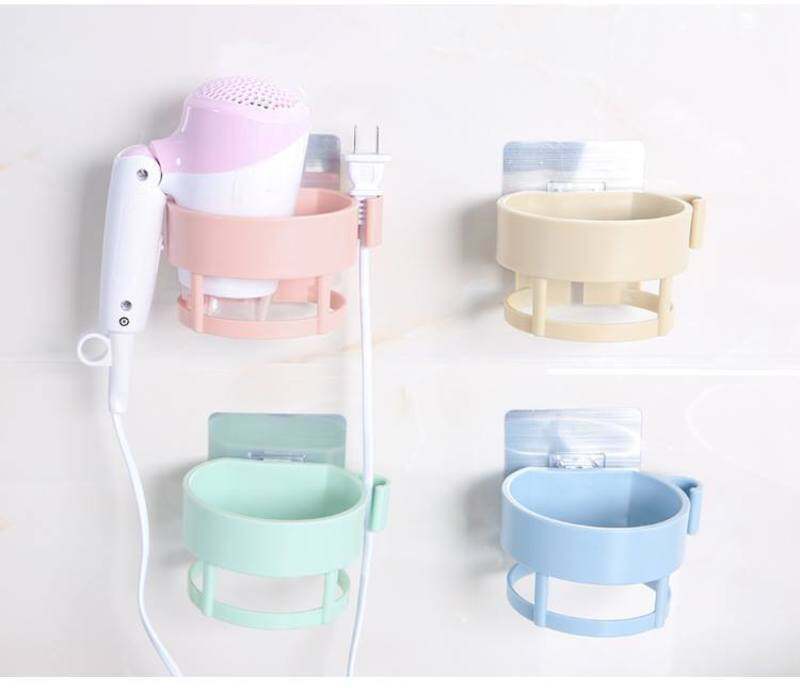 Wall-mounted, saving space for putting the hair dryer.